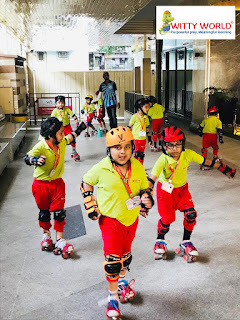 On the top of the World...: Skating by Sr.Kg at Witty Kids Pawan Baug (2018-19). 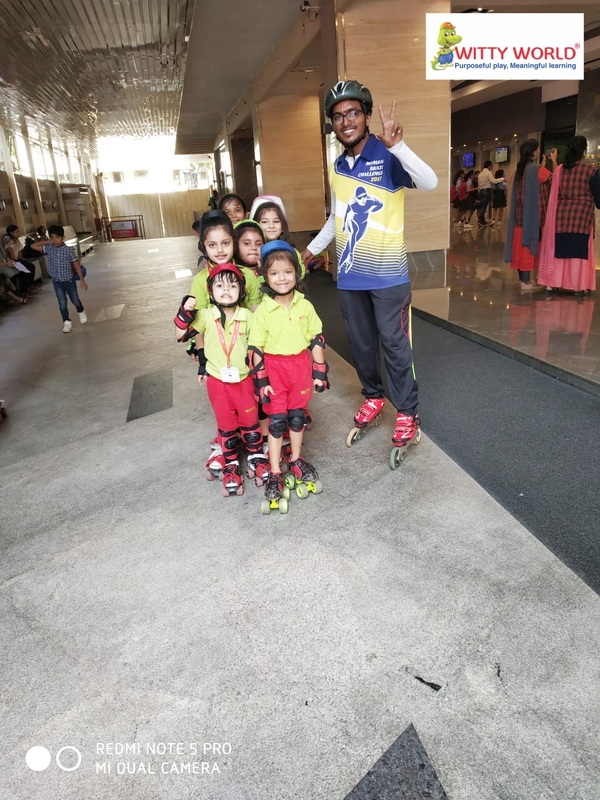 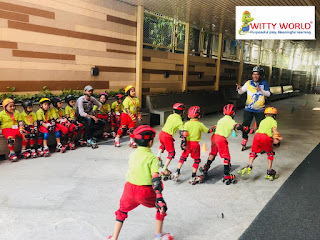 Skating by Sr.Kg at Witty Kids Pawan Baug (2018-19). 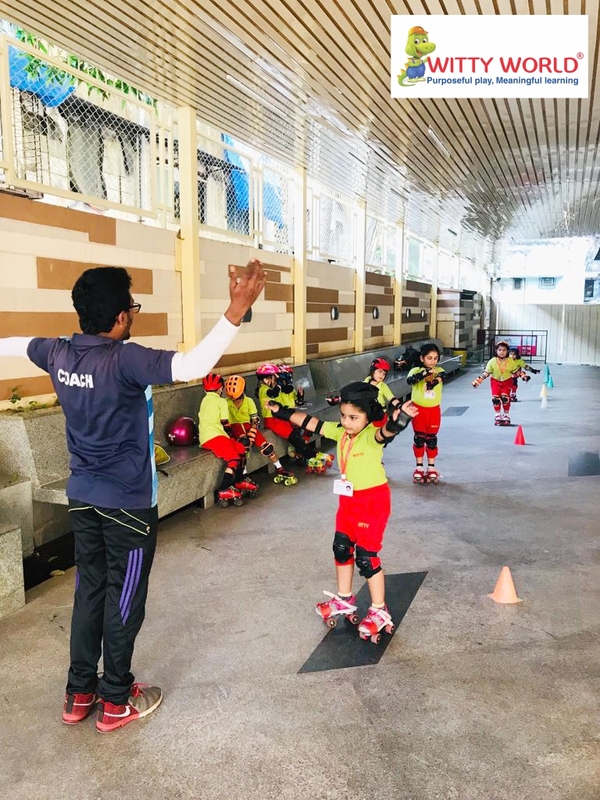 Skating is a perfect way to combine fitness with fun. 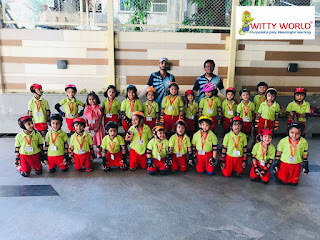 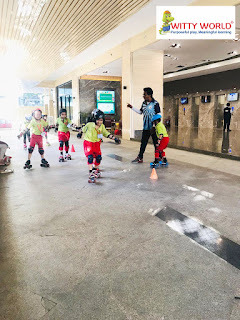 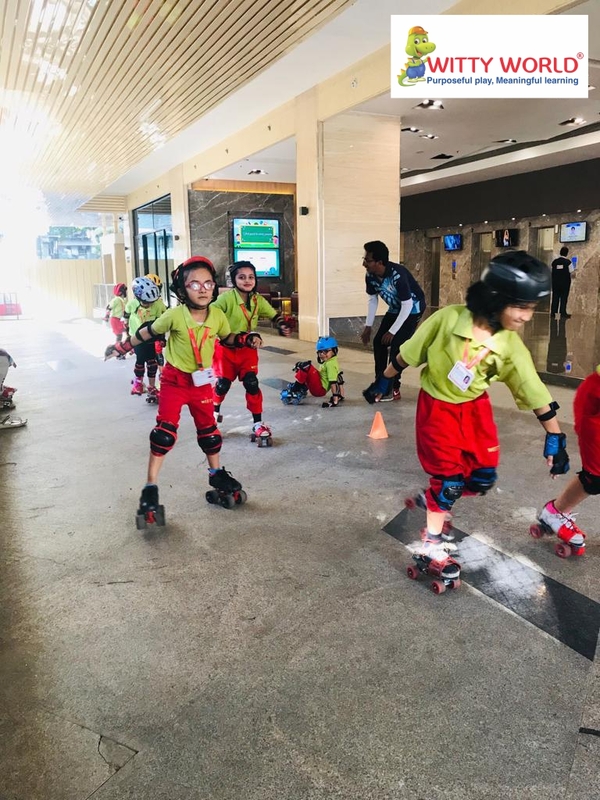 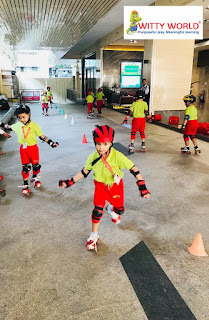 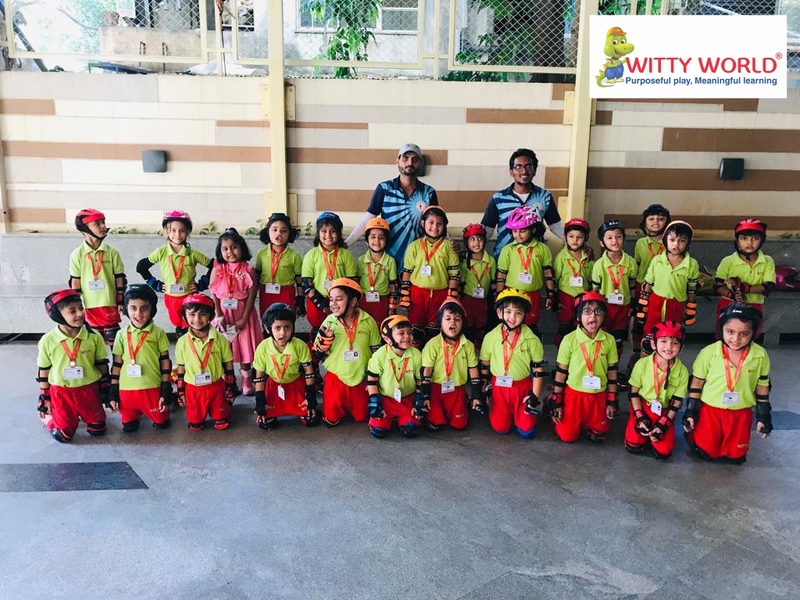 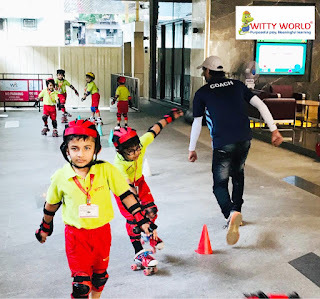 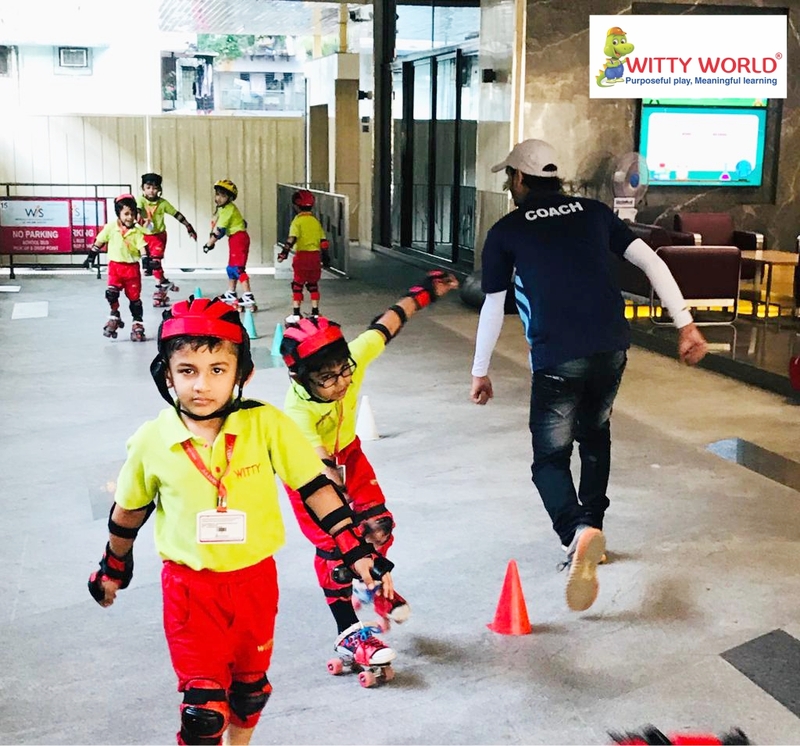 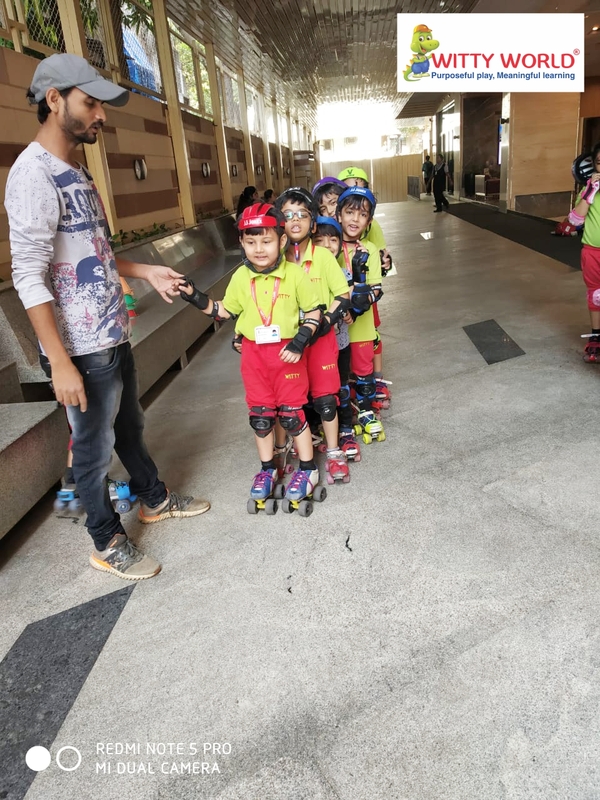 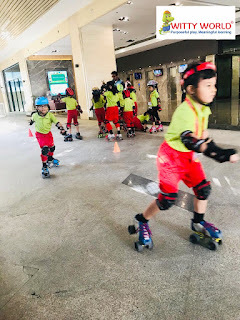 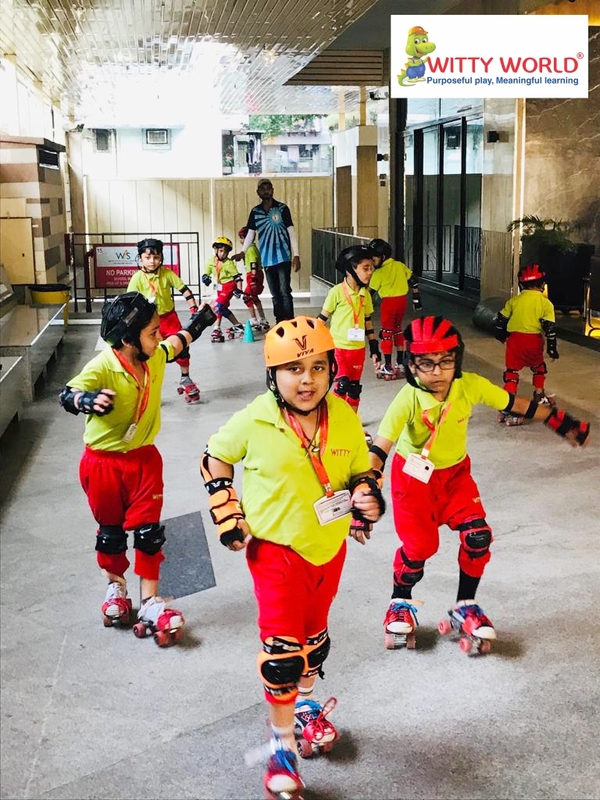 We at Witty world introduced skating activity to our little wittians of senior kg section Pawan Baug as it is a recreational and competitive sport that encourages holistic development of children. It was a one month camp wherein age appropriate, basic skating techniques were taught to our little wittians by professional coaches in a pleasant and supervised surrounding. 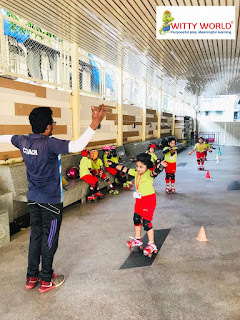 The coaches boosted their enthusiasm through various games that taught children basic skills of balancing, walking and running with the skates on. It was a great platform for the gross motor development of our little wittians. 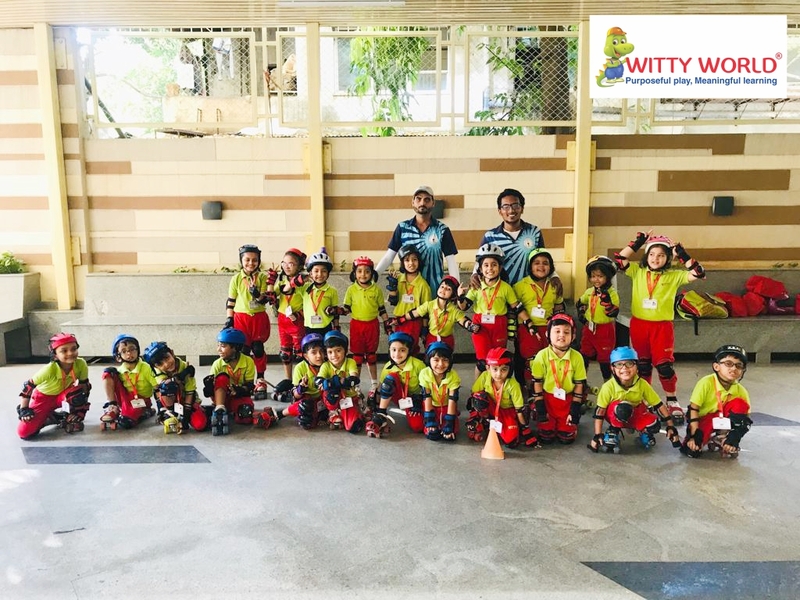 Amidst learning different concepts in a class room, a little time for skating encouraged sheer joy and happiness among our little wittians.